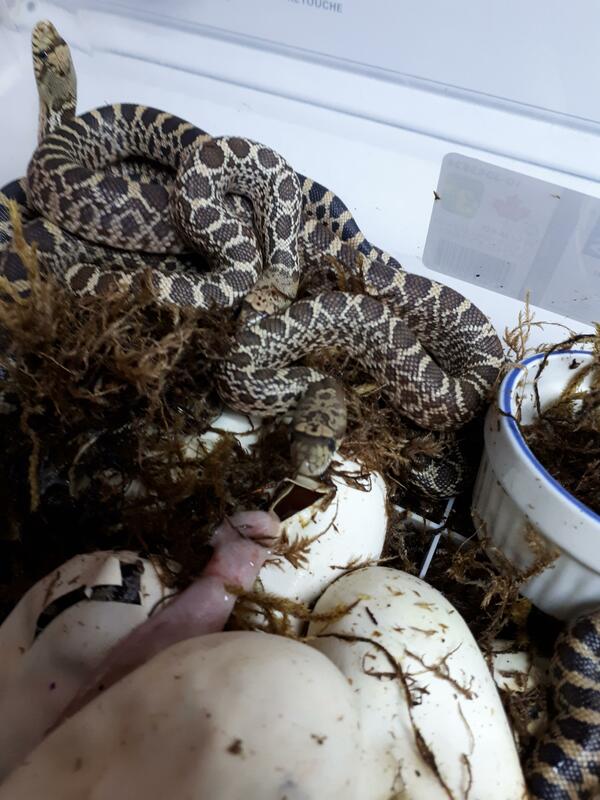 Well, Sunday evening after I came home from a family trip,my bullsnake clutch has begun to hatch. 100% hatch rate is always nice. 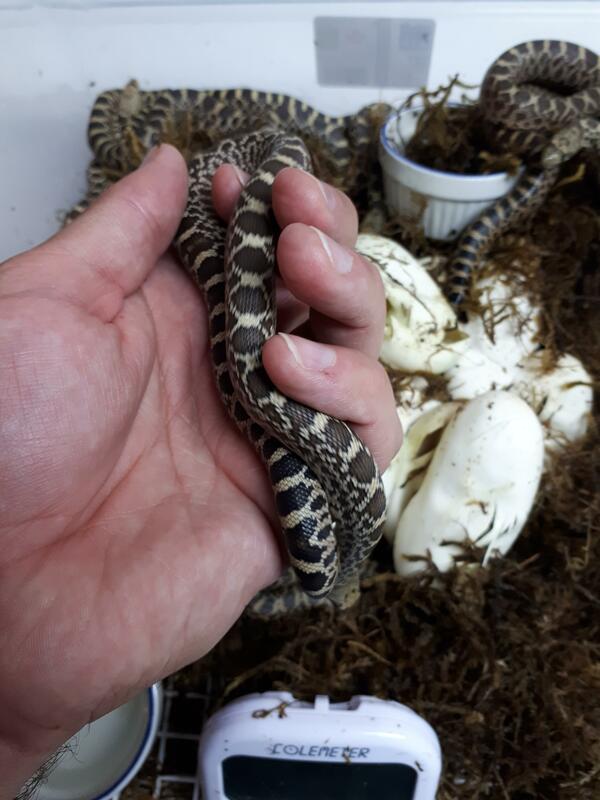 Not all babies are out yet, but I expect them to be within the next few days. 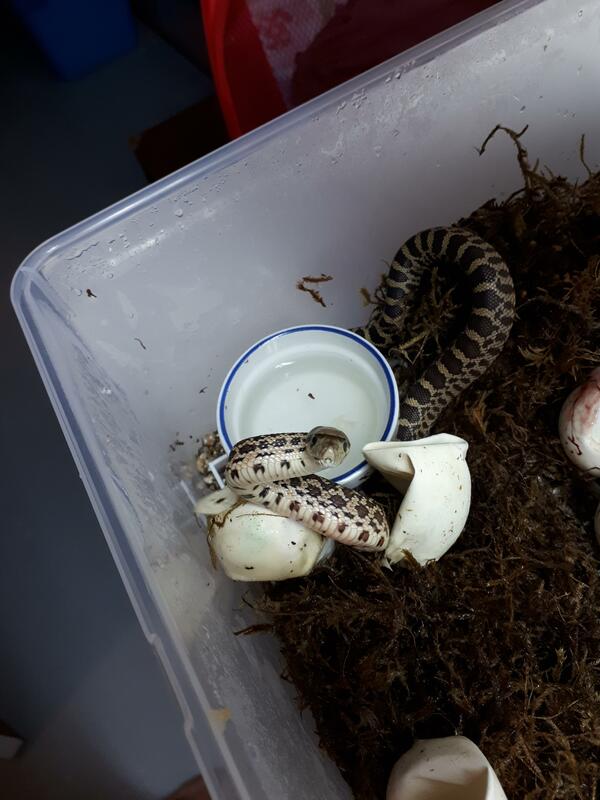 I will be keeping them in the incubator in this container until they've had their first shed, then I will be sexing, separating, and feeding. I'm very happy with the results! 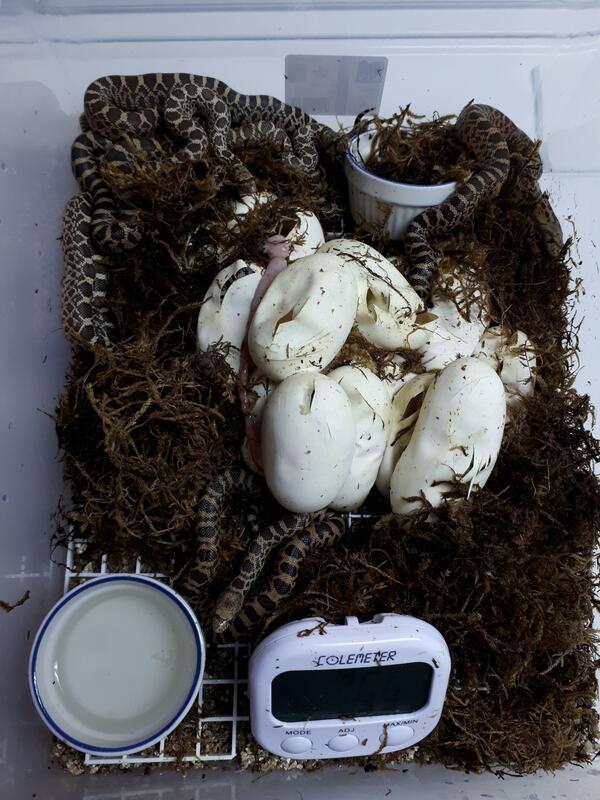 They ended up hatching on day 59 @ 82.5 degrees. All babies are het for whitesided, and all are already spoken for. Last edited by Andy_G; 08-27-18 at 11:54 AM..
Beautiful bulls Andy. Great job sir! congrats, Andy! They're so adorable. I have to share something here that I think is important, and it goes to show that breeding is not always sunshine and rainbows. I got home from work a few hours ago and I saw one egg that pipped but nothing emerged out of it so I opened it up. I knew right away that something was up. The baby had no rear third, just a stump, and its heart and lungs were developed outside of the body. It was alive but had to be culled. 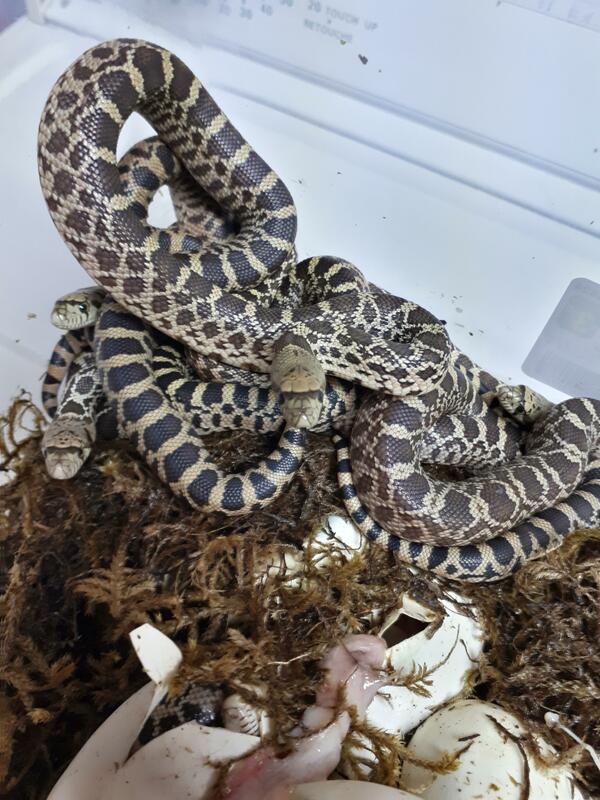 Killing snakes that cannot possibly thrive comes with the territory and it is something I have (fortunately...or unfortunately) become desensitized to over the years. Be at peace with this before you consider breeding. Sorry you lost one Andy. You're right though, it's sometimes an unfortunate part of breeding. But I feel it's a good idea that you shared that. 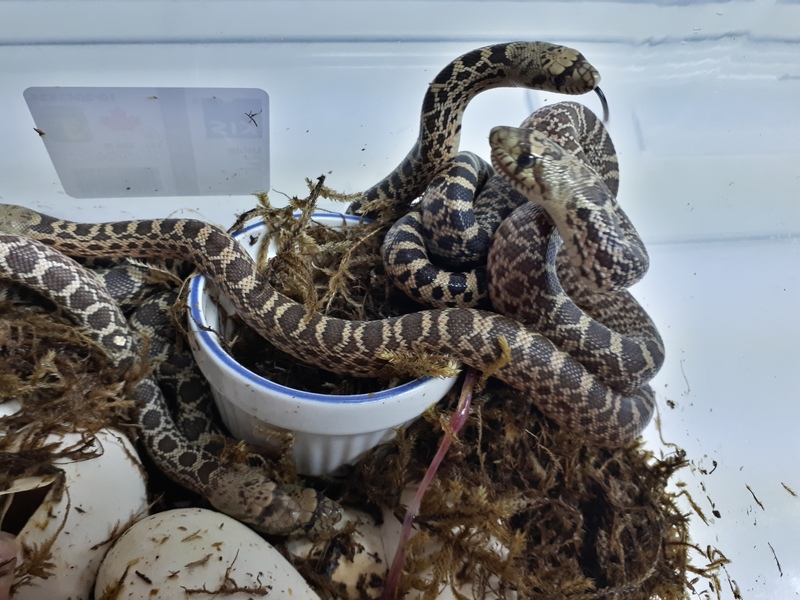 I think it's important that people know that breeding is sometimes heartbreaking and is not all sugary sweet and cute baby snakes. Still cool little babies though.